On February 22nd Riga Technical university (RTU) invites RTU and students and graduates of other universities to attend biggest event in Latvia devoted to professional career orientation – Career day. The event will take place in International exhibition center in Kipsala, Riga and there will be opportunity to meet more than 130 companies and organizations from 37 different fields. During Career day visitors will have the opportunity to meet companies, get to know their representatives, ask about career and internship opportunities, company’s requirements and job specification and other questions. Companies will have prepared surprises for visitors – attractive activities, contests and different tests. For conversations with potential employer to be more productive, it is suggested for visitors to bring their CV in several copies. During Career day seminars devoted to different career aspects will take place. 12.00 – 12.25 RTU Alumni association will present Mentoring program. This program will be opportunity for members of NGO’s and volunteers to learn topics connected with mentoring. Career day visitors will have the opportunity to meet some of the mentors. Presentation will happen in Latvian. 12.30 – 14.00 Prototyping challenge «Career lift» in collaboration with RTU Design factory. In this challenge participants will have a task – to make a prototype for a device that will be able to lift a figure from place to another and after that to present their solution. Authors of the best idea will have the opportunity to consult with one of the RTU Design factory coaches, who will help to set goals for 2019. Challenge will happen in Latvian. Apply for the challenge by filling this FORM. 11.00 – 12.00 Lecture «How to be productive?» lead by executive director of company «Printful» Dāvis Siksnāns. In this lecture Dāvis will share valuable advices and techniques tested by himself to improve productivity, that allows to reach goals more effective in work and personal life. Lecture will happen in English. 13.00 – 14.30 Seminar «How to manage everything?» lead by Toms Grēviņš. He, based on his own experience, will talk about questions connected to balancing work responsibilities and personal life. Seminar will happen in Latvian. You can apply for lecture about productivity by filling this FORM. Entrance in Career days and parking for its visitors is for free. RTU Career day is supported by: MSC Shared Service Center Riga, SIA «Atea Global Services», SIA «Evolution Latvia», VISMA, AS «Emergn», «Printful Latvia AS», SIA «Kronus». 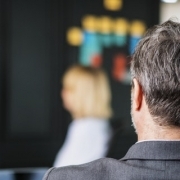 Informational supporters: Career and education portal SIA «Prakse.lv», SIA «CVO Recruitment Latvia», SIA «CV-Online Latvia». Humanity is facing the biggest challenge of its existence. The proposed strategy in “INDUSTRY 4.0”, is where the physical world merges with the virtual. Information technology, telecommunications and manufacturing are united when the means of production are becoming more independent. It is still impossible to say how smart factories will look in the future. The scientists from around the world, from all scientific fields are called to seek an answer to the many challenges of “INDUSTRY 4.0”. On behalf of the Scientific-technical Union of Mechanical Engineering, Republic of Bulgaria we have the pleasure to invite you to participate in thе IV International Conference in Bulgaria “INDUSTRY 4.0” which will be held from 24 to 27 June 2019 in the Hotel ATLANTIS Resort&Spa”, Burgas, Bulgaria. Complete information about the conference can be found in the attached file and on the conference website http://industry-4.eu/ The conference program will give you the chance to find new friends and ideas, to relax, to amuse, and amusements and becoming acquainted with the Black Sea charm. 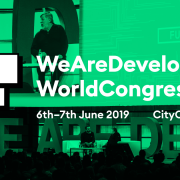 For the first time, Europe’s largest developer conference will take place in Germany in 2019: WeAreDevelopers is moving its WeAreDevelopers World Congress from Vienna to the large, colorful, and bright capital Berlin. On June 6th & 7th 2019, international tech leaders will discuss the latest and hottest IT topics under the title “People – Code – Future” in the CityCube of Messe Berlin. Numerous top international speakers will talk about the latest innovations and developments in the IT industry during various lectures as well as several workshops and hackathons. Over the past few years, WeAreDevelopers has been able to bring tech pioneers such as Steve Wozniak (Apple Co-Founder), Joseph Sirosh (Microsoft AI Expert), Angie Jones (Senior Automation Engineer at Twitter), Joel Spolsky (Trello & Stack Overflow), and Brenda (Wizardry) & John Romero (Doom & Wolfenstein 3D) on stage. Tickets on sale right now. Or join the team and apply as a volunteer here!